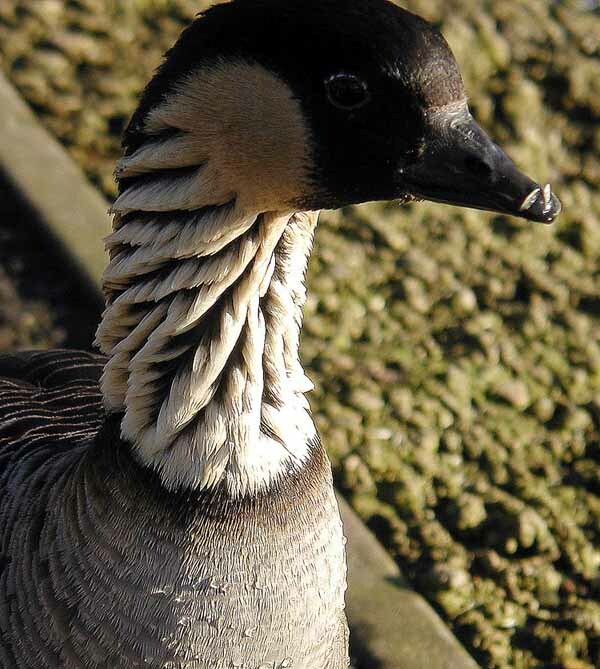 The Nene is the state bird of Hawaii and is also known as the Hawaiian Goose. They are 22-26″ a medium sized goose with a buffy neck with dark furrows. Heavily barred gray-brown above, lighter below (see photo). Its strong toes are padded and have reduced webbing, an adaptation that allows it to swiftly traverse rough terrain such as lava. Black billed it breeds from November to June. Females incubate the 2-5 eggs for 29 to 32 days. An herbivore they feed on plants native and introduced. 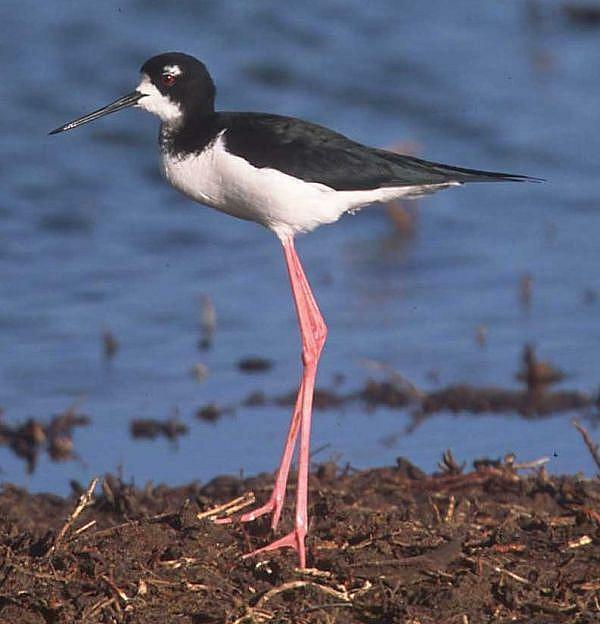 Also knows as the Hawaiian Stilt, the Ae’o is a tall slender wading bird with pink legs and a long thin black bill. It is 16″ and its voice is a loud, sharp “keek” call given in flight and when disturbed on the ground. Also gives a soft more muted call while resting. They exhibit a strong flapping flight with its legs trailing behind. Often found in mudflats, marshy areas, and ponds. They feed on fish, crabs, aquatic insects, and worms. 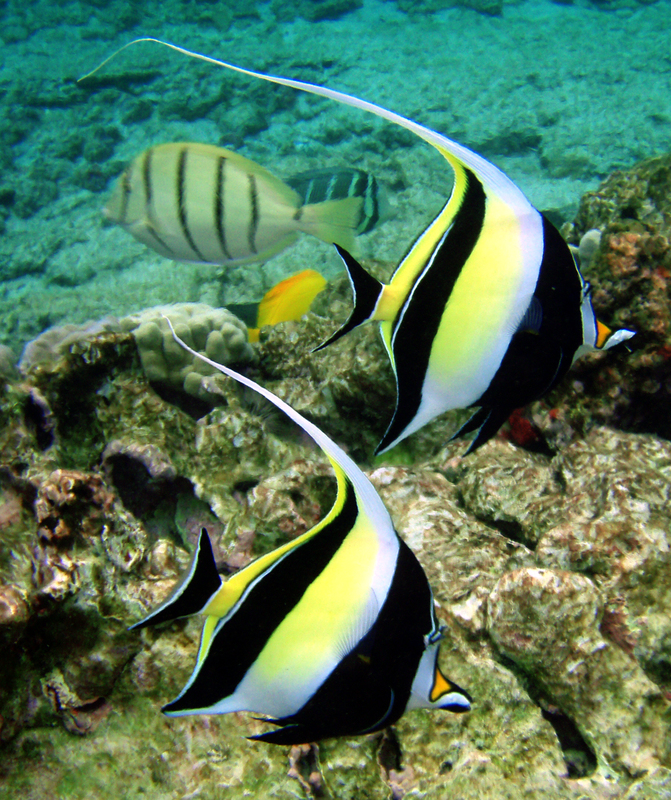 The Moorish Idol, Zanclus cornutus, called Kinikihi in Hawaiian, stands out in contrasting bands of black, white and yellow. 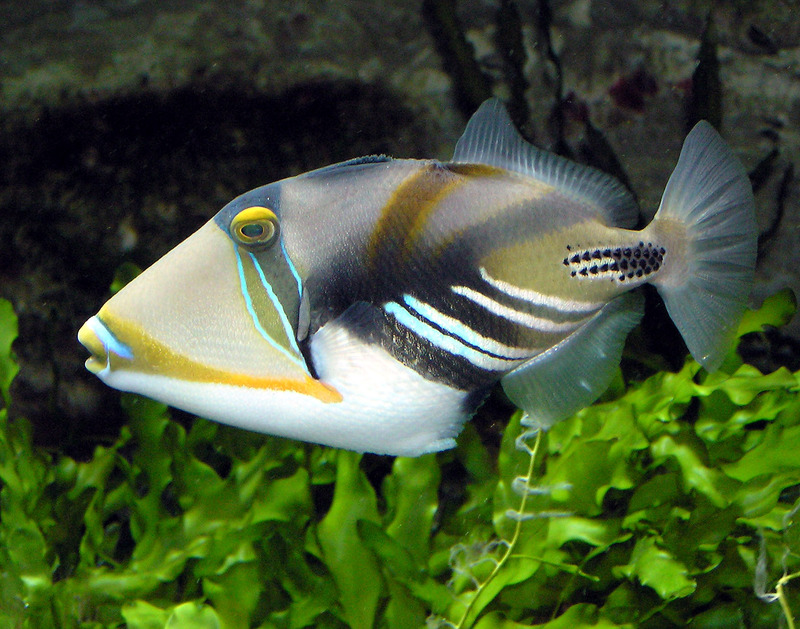 They have relatively small fins so they prefer shallow reef waters and lagoons. Like the butterfly fishes, Moorish Idols mate for life. They often school as juveniles. Adult males tend to be aggressive toward one another. They grow up to eight inches in length and are not long lived in captivity although they are popular aquarium fish. The Moors in Africa believe them to be fish of happiness and with their colorful bodies and graceful patterns you can see why they bring a smile. 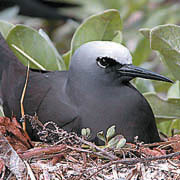 This bird is frequently observed on the ocean cliffs of Hawaii Volcanoes National Park. It is a seabird in the tern family. It is 14″ with a wingspan of 28″. Its voice is similar to that of the Brown Noddy but higher pitched and less piercing. 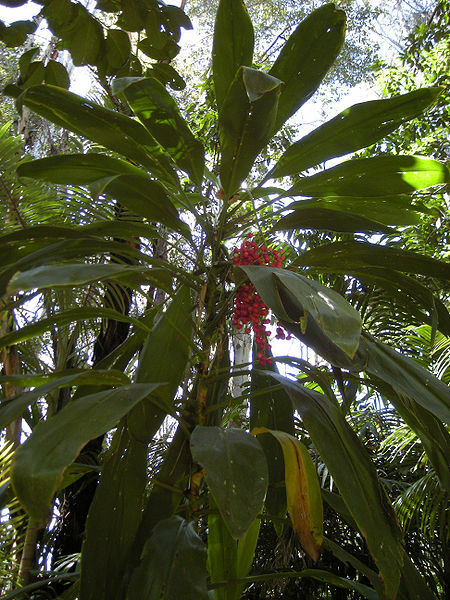 The Noio build substantial nests from the wood of the naupaka or ironwood trees and rarely feeds far from its nesting island. Learning to spell the name of this fish will certainly win the hearts of islanders and before you get any bright ideas it is too many letters for Scrabble. 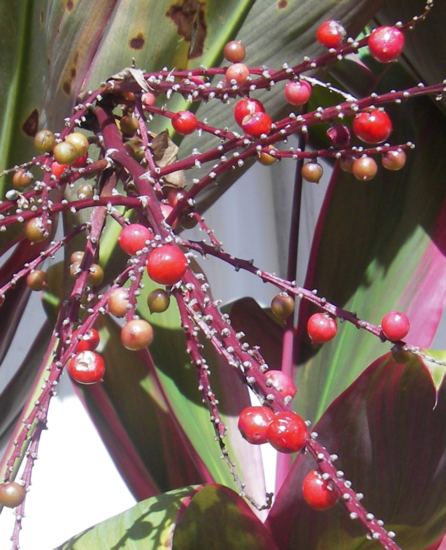 In 1928 poet Don Blanding, sometimes referred to as the poet laureate of Hawaii, wrote an article in the Honolulu newspaper suggesting that a day be set aside to create leis, to keep this important tradition alive in the hearts of all Hawaiians. It was made an official territory holiday just a year later. 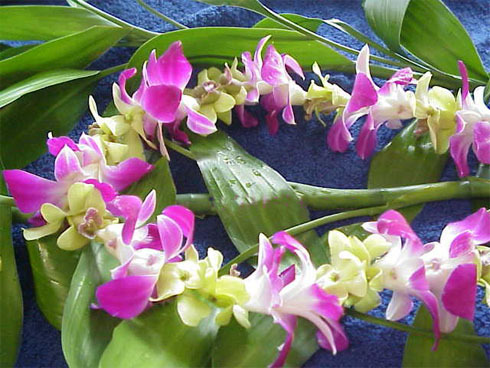 It remains today an important day of celebration with parades and people wearing their hand crafted leis. When Don Blanding died. in 1957, his ashes were scattered from lei adorned canoes off the beach in Waikiki a fitting farewell to a man who carried Hawaii in his heart.